How To Build A Home Based Business | Checking For A Scam, So You Don't Have To. I guess the first question you would have to ask yourself would be, do I want to run my own business. Once you have made up your mind and decided this is the path your going to take. There are a lot of things to consider, so let’s see How to build a home based business. What is my budget – Before you get into anything else you need to know what you have to work with. This can change as you go along but you need to at least have an idea. What type of business – Now here is the big question, you have an idea how much you have to work with. So now it’s time to decide what business to get into. The truth of the matter is there are many directions you can go in so maybe a list would help. Making a list – There is something to be said for making lists, you can put down pros and cons. Putting your ideas to paper sometime can make them more real. Listing what will go into doing that particular idea will give you a chance to go over it and add things you may have forgotten. Cutting the list down – Once you have your list you can narrow down your ideas. When they are all in front of you down on paper it will make it easier to cut out the ideas that your just not crazy about or maybe not the right time to do it. You need to get it down to 2 or 3 ideas – You knew the time was going to come that you have to cut it down to your final ideas. When your down to only a couple of choices think about what would be right for you not only now but for years to come. I have owned my own business since I was 17 years old, so I know what it takes to have a brick and mortar business. Nowadays it seems everyone has the idea of working from home. I agree with that, what could be better than getting rid of that alarm clock and that drive to work. One of the first things to consider before jumping into this is can I really work from home. What I mean by this is can I get up and put my day together so I can be productive. Being home with no one telling me what to do. Will I actually get up and start working and then put in a full days work. Seems like an easy answer but it can be harder than you think. Will I be able to put off all the distractions of being home and actually build my business. This is where the hard part for some people come in. You have to be discipline to work from home, as I said the distractions that come with being at home can be tough to get past. Only you know if you can do this. Some people really need to get up and go to a job to actually get things done. Some people just won’t know until they just try it, my advice on this is make sure you have some money to back you up when you start this new beginning. You got past all of that so you know how much money you have. You have decided that a home based business is the route your going to take. Now you only have a couple of ideas left to pick from, it’s time to narrow it down to the one you are going to use. Remember there are many home based business you can choose from for this article we are going with a website and affiliate marketing. This might not be your choice but I did want to say, that there are many people out there that are looking to steal your money. You need to be very careful make sure you are looking into everything before you make a final decision. If, it sounds too good to be true it most likely is. Making money online requires work, anyone who says work an hour a day you should keep looking. Find out how much it’s going to cost you. Not just the $14.97 it cost to get to the curtain find out what it costs when you finally look behind the curtain. Make sure you know the payment structure. How you are going to get paid. You really need to be on your A game when you are looking for that home based business. There are way too many people out there trying to take the easy way out. The last thing I want to see is for any of you to lose your hard-earned money to some scammer. Where almost there we decided we were going with a home based business Everyone should have their list down to just 2 or 3 ideas now it’s time to pick. We have also decided we are going with affiliate marketing. Out of the ideas you have left you want to pick the right niche. It should be something that is a passion of yours, it can be something you know a lot about or something you would enjoy knowing a lot about. This will be something you will be writing about for a long time so really make sure it’s a passion of yours. I know this process of picking a niche seems never ending, but its important to pick the niche that is right for you and that you could write about forever. Now you are really rolling so you are just about ready to take the dive. Oh no I just thought of a problem I have no idea how to get my online business going. Yes this is a dramatization, I would think this is one of the things you might have thought of a little earlier. Anyway, we have a fix for this so let’s get to fixing. We did touch on this earlier when we talked about getting stuck with a scam. The truth is there are sites out there that are really out to help. You just need to be careful were not going to go through it all over, but that was worth mentioning again. My first choice to help you with building your online business would be Wealthy Affiliate. I choose Wealthy Affiliate because of the training, the community, the co-owners Kyle and Carson, the free no credit card option, just the whole program. Training – This is a step by step program that really just walks you through the whole process. With the free membership you get to build 2 sites free, with the premium you get up to 50. They also have live training, prerecorded training. Training about every aspect of the online business. Community – This is the number one community on the web. Just ask a question if you get stuck or your just not sure about something or your looking for feedback just ask the community. I have never seen anything like this before, where you have so many people helping with your success. Co-owners – When was the last time that you could actually ask the owners of a company for help and get it. By the time they get to where Kyle and Carson are they just don’t have time for the little people. This doesn’t happen at Wealthy Affiliate you have access to them all the time. Free option – You can actually test drive this system before you buy or give up your credit card. There is only one up sell and that’s to go premium. Most other programs have many up sells to get to the top of the line. In some cases the money you make is based on how much you paid to get in. Alright now were cooking, we have our niche, budget, were doing a home based business, and we have training. We need to get to the training and get our website built Wealthy Affiliate makes that a breeze. Once we have our site built and were adding content we need to get some affiliate accounts. I’m not going to go through the whole process of showing you how to set up affiliate accounts. But, this would be one of the next things you will need to do. This is a very easy process and another thing you will learn how to do through Wealthy Affiliate. This is just an outline of what you will need to do to get your affiliate marketing business going. You will get all the training step by step through Wealthy Affiliate. When you get serious and your ready to start your own online business you will know what is in store. Running your own affiliate marketing business can be both challenging and rewarding. This will help you to go in with your eyes wide open. Just keep in mind that nothing happens overnight. Everything that is worth having take work to get it. Just take “get-rich-quick” out of your vocabulary. Forget about the only work for an hour a day, or the one I just love and I forgot till just now the old “Set It And Forget It” also know as the “Done For You System”, you know the “System That’s On Auto Pilot”. These are all signs to move on and don’t look back. Just think of it this way if the systems were what they say everyone would have an online business. They work only 1 hr a day, set it and forget it, done for you, who wouldn’t do it. I just want you to pay attention and watch out for the scams out there. Even though, at first you will be working a bunch it will pay off in the long run. I want to thank you for visiting my site come back again soon. Previous Post:Instant Commission Blueprint – Scam Or Not? Great post on how to build a home-based business RickD, and you have given a nice walkthrough of the steps to go about building it. 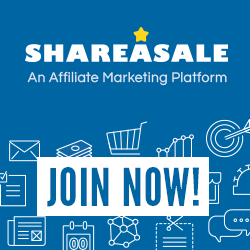 You are right, you need all the pieces of the puzzle put together to set you on the right track to success and Wealthy Affiliate is the platform to do this! I am glad you liked the post, I thought it would be good to show what is needed to build an online business. I was hoping this post would give someone looking to start a business a real idea so they could come up with a plan of action. Thanks Again for visiting, come by anytime new content added regularly. This article is really helpful. Thanks for sharing this article. Wealty Affilaite contains many cool features. Soon I will reach this affilaite program. Thanks for coming by my site and leaving your comment. I am very glad that this article was some help to you. Wealthy Affiliate is a great program, it covers every aspect of building and maintaining your online business. I would recommend WA to anyone looking to start an online business. Its like opening a Christmas present but you can’t seem to get all the pieces out of the box. That is because there are so many trainings, videos, Step by step tutorials, and so much more. Once your business is ready to roll there are many affiliate programs you can get involved in. You can make the decision once you have all the pieces of your business put together. Thanks again for stopping by, come back soon new content added all the time.